It's been a year since I last wrote anything on the Forums. I had a dream last night about going to an Openhand workshop, which has prompted me to write again. I sometimes struggle with thoughts & feelings of spiritual pride, & it bothers me when these are present, as I feel that I shouldn't have them, that they are wrong in some way, & I wonder how I can stop them, or move beyond them more quickly. I'm much more spiritually advanced than most others in my circles. I know what life is really all about, & others don't. I am much more mature in my spiritual development than others around me. I'm spiritually superior to most people. I look down on others. Everyone is on their own spiritual path. I am of equal spiritual worth & value compared to everyone else. I've got my own challenges & lessons to learn. I'm getting on with my spiritual mission. I see every human being as equal to me. I'd be interested to hear about others' experiences with spiritual pride, & what they have done to deal with it & to overcome it, so that it doesn't become an obstacle for spiritual growth & development. 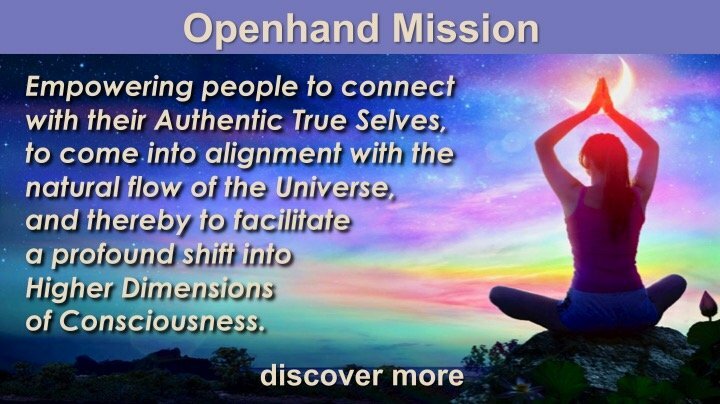 From my understanding of the Openhand philosophy, the first step might be acceptance of these thoughts & feelings, followed by an exploration of the tightness they create inside me, & what is it about my past & conditioning that is creating them. My mother springs to mind as I type that. She was & still is a very proud person. I'm sure that I have inherited her sense of pride, of feeling a bit better than everyone else, which is then transferring to my experiences on my spiritual journey. Happy Winter Solstice to everyone! Your exploration raises some interesting points indeed. 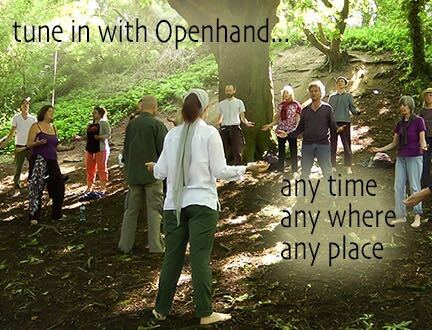 Please allow me to elaborate some thoughts/feelings for the benefit of the wider Openhand community. Firstly, I think it's interesting to explore the nature of words - like "pride" for example. To any word there is no absolute meaning. Of course we'll all have a sense of what the word means and know how to use it in English vocabulary, but the point is, the word itself is going to have a different sense and feeling INSIDE. It's going to be the same for many such key words. On the path, I find it of immense benefit to see words as doorways into experience. 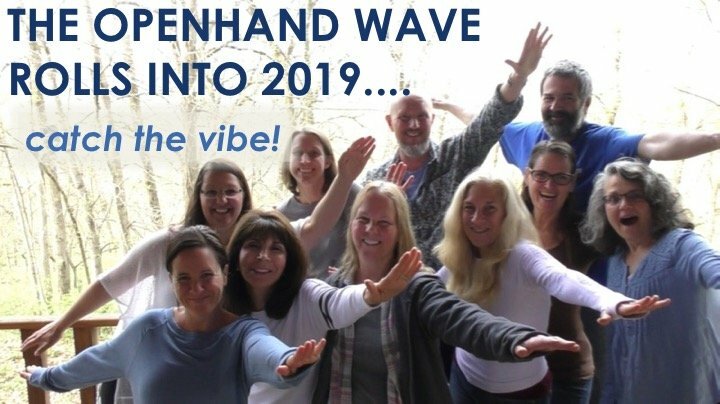 And so in the Openhand facilitator work, we always look for spiking words - those that people use which carry energy and cause a blip of some kind in the field. Usually they touch some kind of filter or karmic source pain. In this case Alex, you identified the word probably emanated from experiences with your mother and the meaning she had for the word/experience - as you said, she was 'proud', So the likelihood is, there'll be inner child/teenager conditioning around the sense of pride. In which case, as you rightly say, in the Openhand Approach it is to explore feelings around the word/expression/sense and then let that express through you. It's like you 'blow it up' into your outer world. As you know, it is definitely not to sit on it or try to suppress it, because that just causes an internal separation of soul where that part which is stuck in the distortion gets buried. Now the separation causes an internal polarity and so removal of the experience of The One. We must work to integrate soul through all experiences - free flowing soul then becomes like a wave which delivers us onto the shores of The One inside. Once there's been activation and exploration of the distortion through active expression, then it becomes possible to 'open a doorway' through the distortion and into the one. The key to the doorway could be something as simple as the word 'openness'. Or it could be a power animal or some kind of vision - a door opening, a flowers petals opening or the sun coming up. For each the key will be different and so time is invited to explore - what literally opens the inner doorways for you into the disassociated, non attached state. It is important to say we're not looking for a distanced disassociated state - we're not 'looking down' upon the distortion. You're looking to transcend it by penetrating right through it. It's a simple decision to not be held or limited by the previous ties of the distortion. At this point, it's like you've removed the roots of the limitation - the tethering that bound you to it. It means the distortion itself can now be unwound and released. It is at this point we can integrate that lost aspect of soul that was stuck in the distortion. The key to this is to find the truth at the heart of the distortion. Because every distorted behaviourism is a distortion of some original truthful expression of the soul - we could call it the 'ancient light' that created the distortion. This is the pearl, the nugget of gold, that we're looking for. So let's take the word 'pride'. Where there is a sense of 'one-up-man-ship' - being better than another for example, this would clearly be the distortion. Because there is no 'better than'. We're all uniquely exploring in different ways. One person my have more expanded access to higher dimensional awareness, whilst another might be much more accomplished in the 3D. 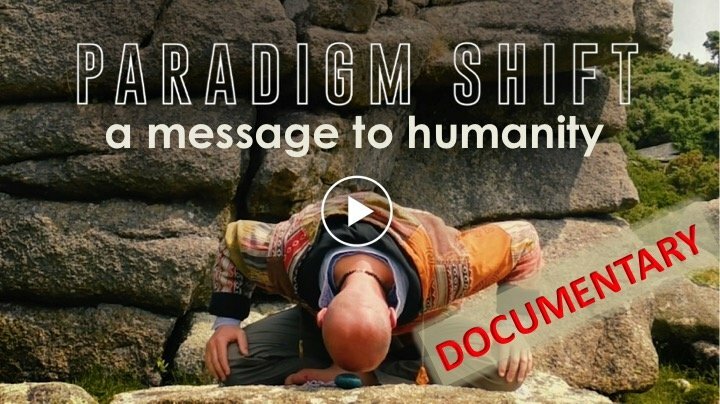 I would say it's possible to get the sense that one soul might be more integrated and aligned than another - which you'd get a sense of in their field. But it can't make that soul 'better' than another. That's because each soul has unique characteristics for their own unique journey. Someone might be more integrated at a soul level, but they couldn't be better at being you and walking your path. So 'better than' is clearly a distortion at a soul level. So how to get rid of the distortion? The key is to find the truth in it. I would say the key for what you've described Alex is something around 'accomplishment'. To me, there is a natural sense of accomplishment when something is realised at a soul level and the soul then integrates more strongly - a fragment of soul re-integrates. It leads to that wonderful "aha" moment of self-realisation. At that point, a new expansion of awareness will be felt or a new gift of the soul actualised. When this happens, personally I find it is highly beneficial to 'celebrate it'. For me this might mean taking off for a long walk in nature. It might mean picking up some 'totem' or gift from the universe to mark that shift. It would often be a new piece of music. It's important to avoid getting fixated by these gifts - rather to see them as the manifestation of the inner gift of soul and to celebrate in the feeling - the actualisation of that. As you express this new found aspect of soul, then the distorted expression is ready to unwind. So taking the word 'pride' again, you might now visualise all the old behaviourisms around the word 'pride' - see the images of past encounters where its been present, including the people involved. Then feel the impact of the word and the correspondent feelings inside - watch/feel them unwind and dissolve inside. The more you practice, the more you can literally feel the neural pathways and energy inside you. Let the intuition choose how to remove the distorted energy. 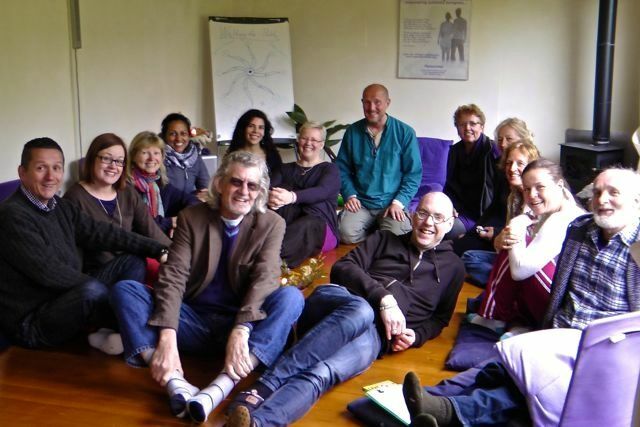 On a recent course in Australia for example, one person saw black snakes coming out of their mouth and solar plexus - it was immensely cleansing and liberating! So we peel off the distortion, fully integrate soul through expression, which then delivers us more into presence - onto the shores of The One inside. It's a progressive journey. Thanks for raising a very valuable topic. Its an important topic. There is a tendency for me to compare myself with others. But when im better than another the chances are that i make myself smaller compared to others too. I have observed that i tend to behave a certain way when i'm with the more accomplished or integrated or people i envy in their respective departments. The words written above about accomplishment strikes a chord within. I sense there is a distorted aspect of me around it. Its probably the reason why i look for appreciation in the external world from people 'better' than me which gives a validation for my path. But this is probably because i have denied the joy of accomplishment within myself so that im forced to look for it outside. Its good to celebrate it as long as its not in the expense of another. To celebrate the uniqueness of me without limitation would be the most wonderful achievement.